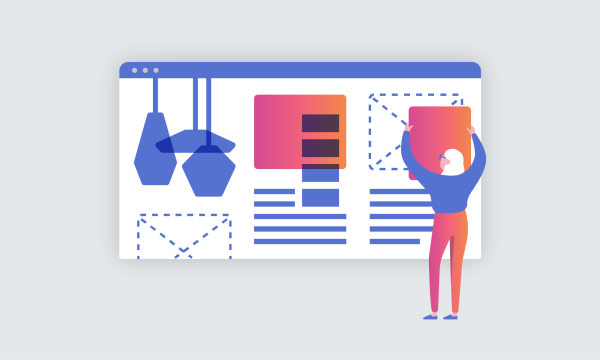 Founded in 1998, AWeber is an email marketing platform that helps 100,000+ small businesses, email marketers, and entrepreneurs create and send emails to their customers and stakeholders. We had a conversation with Joe Cotellese, Director of Product at AWeber, to talk about how he first found FullStory three years ago (AWeber is one of FullStory’s oldest customers). Reflecting on that first experience, Joe shared how he was “blown away” when he saw FullStory’s session replay technology. When you do usability studies, you’re putting customers in a sort of fake environment and asking them to do things in a more scripted way. Even saying, “Don’t worry about us, we’re just watching what you’re doing,” taints the study, so it’s hard to get a good idea of how customers really experience the product. Having found FullStory, Joe knew session replay was the efficient, scalable solution they needed to understand their customer’s online experience. From cold analytics to warm user empathy. Like many other FullStory users, AWeber uses other analytics tools to pull together high-level, aggregated metrics to measure customer behaviors online. As part of the product decision-making workflow, Joe’s team first selects a cohort of users to observe. Using KISSmetrics, the team tracks the most common actions taken within AWeber by the cohort. From there, the team turns to FullStory to view users’ actual in-app behavior. We use the quantitative data to understand things at the macro level,” said Joe, “and then use FullStory to see things at the micro level that we’d otherwise miss. Because session replay on FullStory provided a clear picture of what functionality customers really needed, Joe’s team was confident making specific changes to the AWeber online experience. The result was a more valuable app and increased usage of the native app over the web page on mobile devices. Understanding aggregated behavior using FullStory Click Maps. It’s valuable to be able to look at individual sessions [in FullStory], but with Page Insights (Click Maps), we can stack those sessions on top of each other like onion paper, so you can see the aggregate behavior. The combination of those two views in one tool makes it really powerful. We were watching the sessions thinking, ‘Why are they clicking there?’ Then we realized, ‘Oh, they’re clicking on that thing that doesn’t work, and expecting it to do something.’ We never would have caught that just with analytics — seeing the repeated pattern in the aggregated view was really helpful. FullStory helps AWeber understand their customers. With FullStory, Joe’s team can collect deep user insights that normally require the work of a dedicated research team — for a fraction of the cost and time. I don’t have the luxury of a giant research staff ... FullStory allowed us to take what would have been a painful process of scheduling user interviews and observing people in a controlled environment, and turn that into something we can do on a whim. It bridges the empathy gap much more efficiently. The added level of empathy that session replay provides helps Joe’s team at AWeber avoid making product decisions in a vacuum. We’re happy to have been supporting AWeber’s efforts to improve the customer experience these last three years.